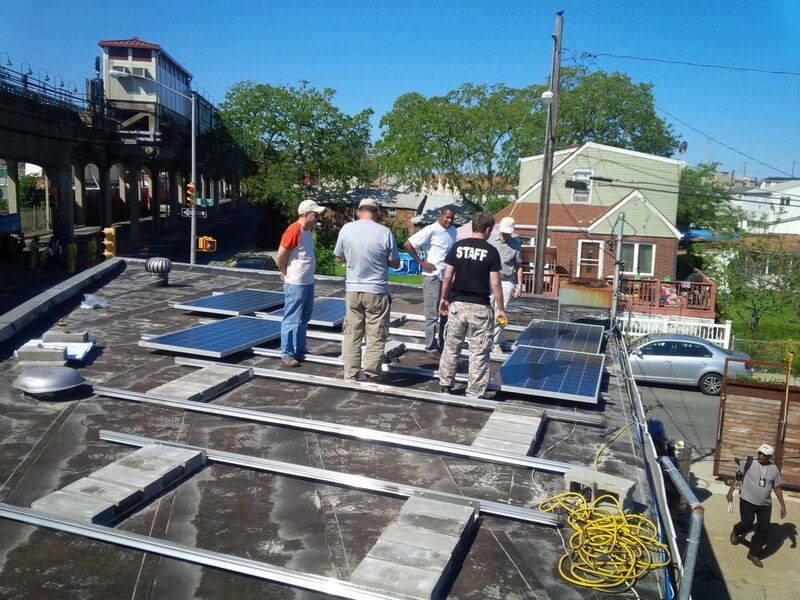 Global Green .Solar Installation at Church of God Christian Academy, New York (Solar for Sandy). To meet the needs of nearly 10 billion people by 2050, energy production must double. But to protect the climate, greenhouse gas emissions must be cut by 80%. Maintaining the same path is a recipe for environmental and humanitarian disaster. Our Smart Energy program fosters a secure, equitable and sustainable energy future for the world, using advocacy and practical projects to promote energy conservation and efficiency, and to accelerate the transition from a carbon-based economy to a clean and sustainable energy model, accessible to all. Green Cross is also building connections between water, livelihoods and clean energy, notably in Senegal. With support from Italian Ministry of Foreign Affairs, Green Cross Italy has installed new photo-voltaic systems and high-efficiency pumps to supply drip-irrigation systems on two cultivation areas. Global Green. Solar Installation Rockaway Beach Surf Club, NY (Solar for Sandy). In Russia, a biogas facility, operating independently of any external supplies of gas, electricity, heat, motor fuel or fertilizer, was developed and partially tested by Green Cross. The work included analytical studies of the applications of bioenergy from agricultural producers in the Russian regions, as well as promoting the integrated use of biomass in agricultural production by processing waste into organic fertilizer, energy, motor fuel, humus soil and feed additives. Green Cross participated in specialized conferences on the problems of using alternative energy in agriculture, housing and communal services, and also prepared messages, presentations, publications and professional journal articles on the subject of alternative energy. Further study will permit the adaptation and optimization of the biogas facility for the specific conditions of various modern agricultural enterprises. We’re currently refining the technology and developing additional tests with target completion in 2019-2020. Over 2,000 clean cook stoves have been deployed to date as a part of a pilot program by Green Cross Ghana. The cook stoves are paid for with an impact investing loan that is paid back by cook stove recipients using mobile phone payments. We’re actively seeking to pilot additional impact investing models and consortium building for solar energy in West Africa. As a next step, we’re going to tie together some of these programs with an international solar report card that includes both energy access and grid resiliency, showing how different countries measure up, along with actions that are needed for improvement.